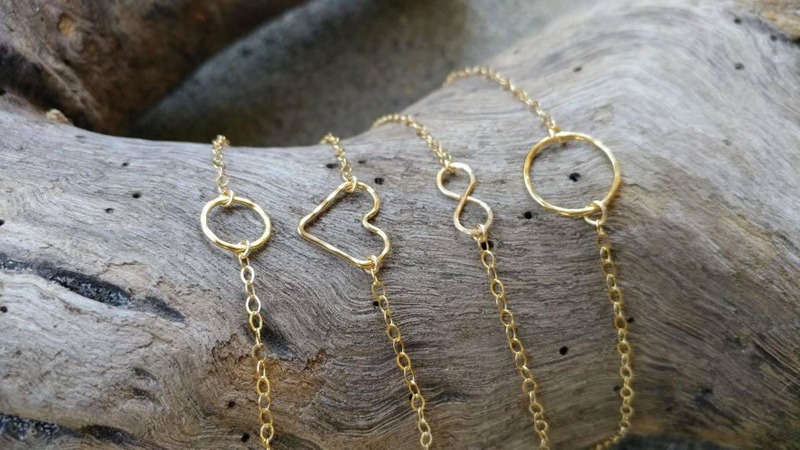 Tiny layering bracelets. Wear alone or mix and match for a fun layered look! 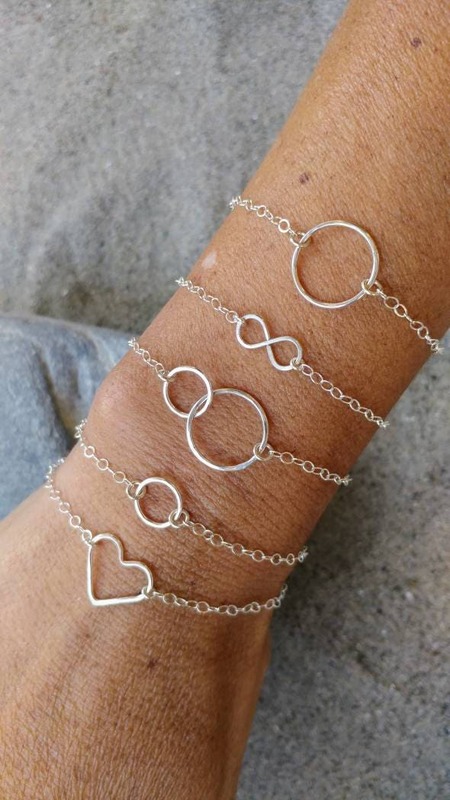 The sterling silver bracelets have been hammered for a beautiful shine and texture. 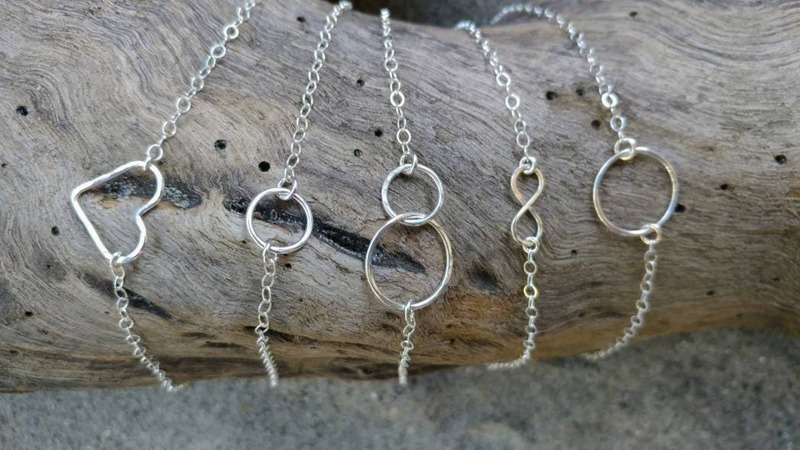 They each have a delicate but strong sterling silver chain on either side and a sterling spring clasp. Purchased as a gift. Pretty! Quick shipping. Thanks.